Everybody enjoys the sensation of well maintained and perfectly clean carpeting. Whether yours is an easy-care fibre, shagpile or raised weave design, ensuring your carpets last as long as they’re designed to comes down to appropriate care and maintenance. If your carpets are looking more worn out than they should, be sure to contact the team at Melbourne Carpet and Tile Cleaning for affordable, professional and absolutely worthwhile carpet steam cleaning. Did you know the human body sheds up to 600,000 skin cells every 60 minutes? When you consider that most of these cells end up in our beds and living spaces, that’s a lot of dead skin cells left to vacuum up out of your carpet in between professional cleanings. A Good Vacuum Is Never Enough! 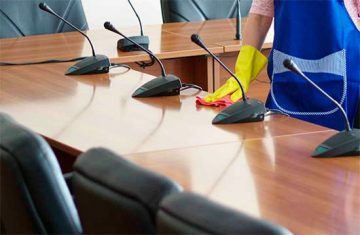 It goes without saying that regular cleaning is the most effective way to stay on top of carpet, mattress, couch and sofa cleaning, but even the most dedicated cleaner can’t achieve the incredible difference that cleaning through hot water extraction offers. 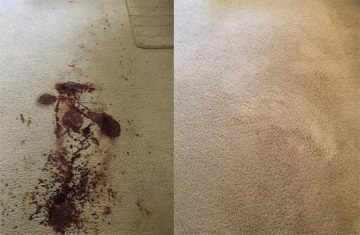 We Assess All Stains For Complete Removal! Rug and Carpet Steam Cleaning Services of the Future. Carpet shampooing isn’t a straightforward process. To get the results we do in such a short amount of time, we need to ensure our technology is up to date. We use state of the art truckmount technology to reach a temperature of up to 240 degrees Fahrenheit when treating your carpet for best results. We use a combination of steam and suction extraction to loosen, open and access fibres in order to draw deeply embedded dirt, debris and allergens out, at a depth even the most powerful home vacuuming tools can’t match. It’s an application that rug cleaning, upholstery and furniture can all be significantly rejuvenated by. Looking for Tailored Carpet Cleaning Packages? If you’d like to prolong the life and improve the appearance of your carpet, there’s nothing like a professional spot cleaning, carpet sanitising and couch cleaning service to make the difference you want to see. Modern carpet dry cleaning and upholstery cleaning is easier and more affordable than ever- and it leaves results you’ll love! Local Carpet Cleaning Services in Frankston North & Frankston South. Looking for a fast, affordable steam cleaning service? 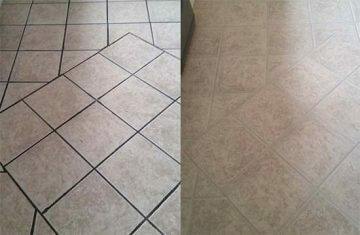 The team at Melbourne Carpet and Tile Cleaning are your leading choice. Want it done today? We may be able to provide a same day carpet cleaning service. Simply call our team of professional carpet cleaners in Frankston for more information today!